Here’s a nifty little board from the gang at Zotac, full of features including wireless, maybe your next HTPC board? Today sees us still keeping our focus on small form factor in general but taking a look at a slightly different product, that shares the same market. 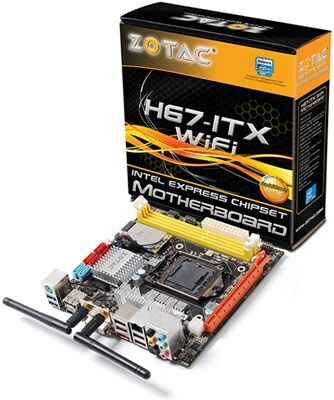 The Zotac H67-ITX WiFi is still aimed at the HTPC market but differs somewhat in its design compared to the boards we’ve looked at recently. We say that as instead of having a built-in style processor or APU, we see a conventional socket able to take Intel’s 2nd generation of processors which we all know as Sandybridge. 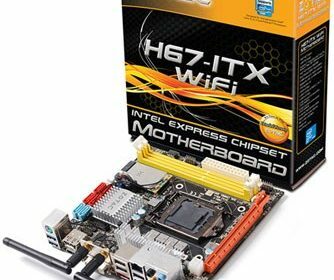 Whilst we love the potential behind the i5 2500k and i7 2600k, this board would be better suited with a low-powered i3 CPU leaving it to be a perfect board to sit snuggly in a nice looking HTPC chassis below your Plasma TV. Hmmm, that with the i3-2000T…makes me want to pull that trigger and update my Zotac 9300-ITX I have now, although I have no legit reason other that I have an itch.